Joran van der Sloot, shown being escorted to a Peruvian jail, has confessed to killing a young woman, police say. (CNN) -- Aruban and Peruvian authorities have agreed to "help each other" in the murder investigation of Stephany Flores -- in which Joran Van der Sloot is the prime suspect, an Aruban government spokesman said Tuesday. 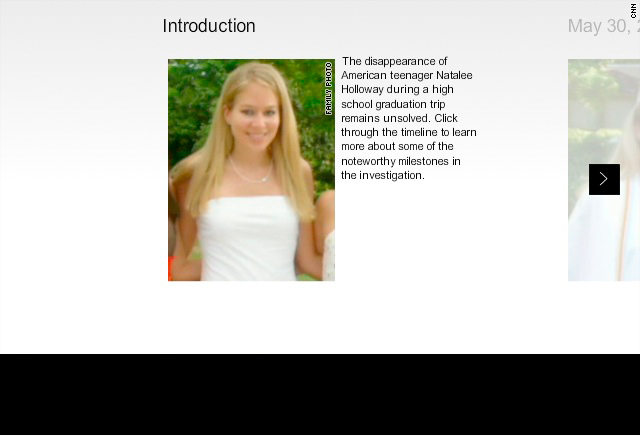 Investigators hope the cooperation will lead to new information about the disappearance of Alabama teenager Natalee Holloway in 2005 in Aruba. Van der Sloot is also a suspect in that case. 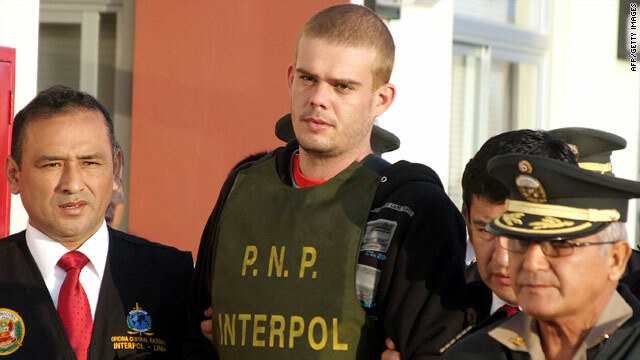 Following a phone meeting with Peruvian Judge Carlos Morales on Tuesday morning, Aruban government spokesman Taco Stein said Peruvian authorities have agreed to allow Aruban investigators into Peru to interview van der Sloot once a formal request has been made. Stein did not indicate when the request would take place or when Aruban investigators are expected to arrive in Peru, but described the meeting as a "positive start" to information sharing that many Arubans hope will shed more light on the Holloway case. Holloway's father, Dave Holloway, met with Aruban authorities on the island Tuesday and told CNN he believes progress is being made in the investigation. He declined to elaborate further. Peruvian authorities have charged van der Sloot, a 22-year-old Dutch citizen, with murder in the death of 21-year-old Flores last month. Van der Sloot said he was in Peru for a poker tournament and had met Flores while he was gambling. Police have said they think van der Sloot killed Flores to steal money she won from gambling. Van der Sloot told authorities he attacked Flores on May 30 after she read an e-mail on his computer connected with the Holloway case. CNN's David Ariosto and Rupa Mikkilineni contributed to this report.